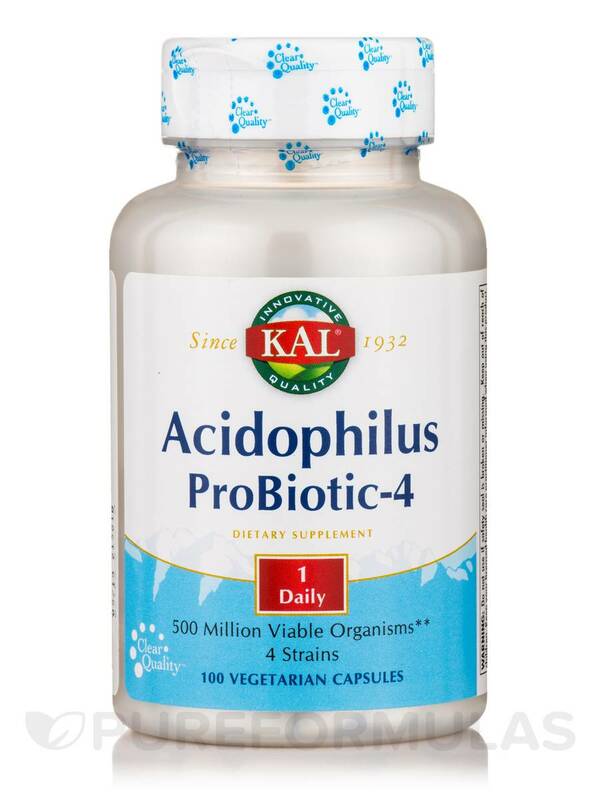 KAL® Acidophilus ProBiotic-4 is intended to provide nutritive support for the establishment and maintenance of favorable intestinal flora. 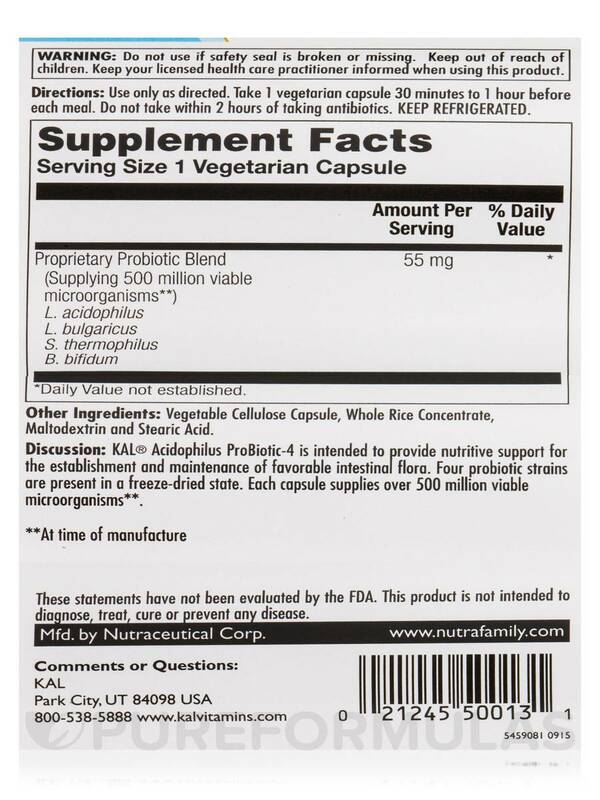 Four probiotic strains are present in a freeze-dried state. 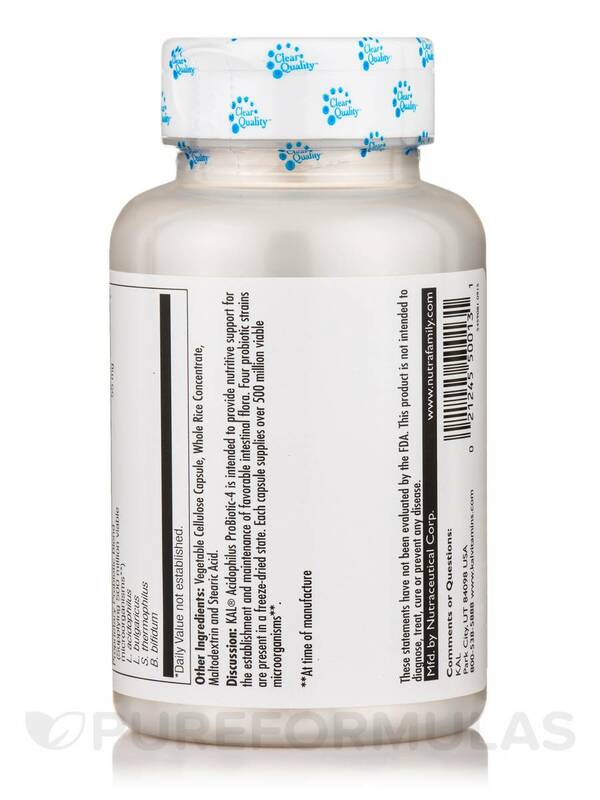 Each capsule supplies over 500 million viable microorganisms. Other Ingredients: Vegetable cellulose capsule‚ whole rice concentrate‚ maltodextrin and stearic acid. 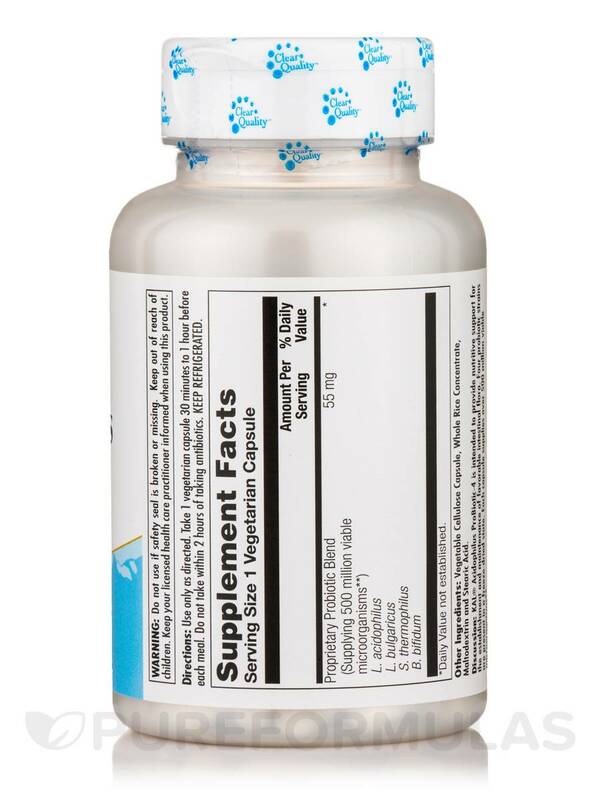 Take 1 vegetarian capsule 30 minutes to 1 hour before each meal. Do not take within 2 hours of taking antibiotics.